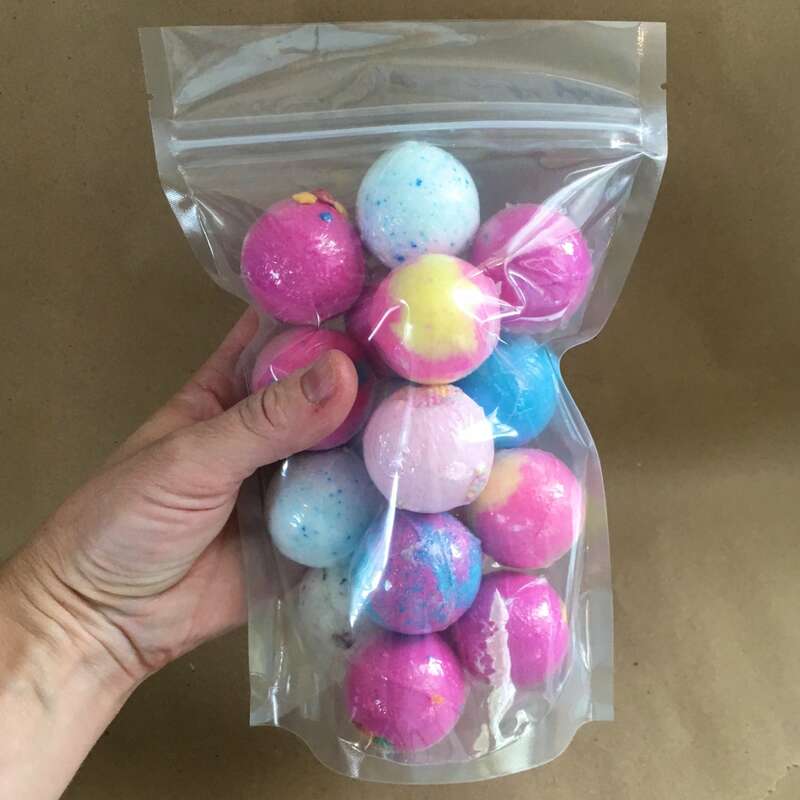 These bags are great for products like bath salt, bomb dust, bath tea, bath bomb packs etc. You can fit a range of product weight in them depending on the density of the product. It can be anywhere from 8 oz to 28 oz depending on what you are putting in them and how much air space it takes. You can impulse seal these if your sealer is turned up. It's thick, so it needs a longer seal than a polyolefin shrink bag. 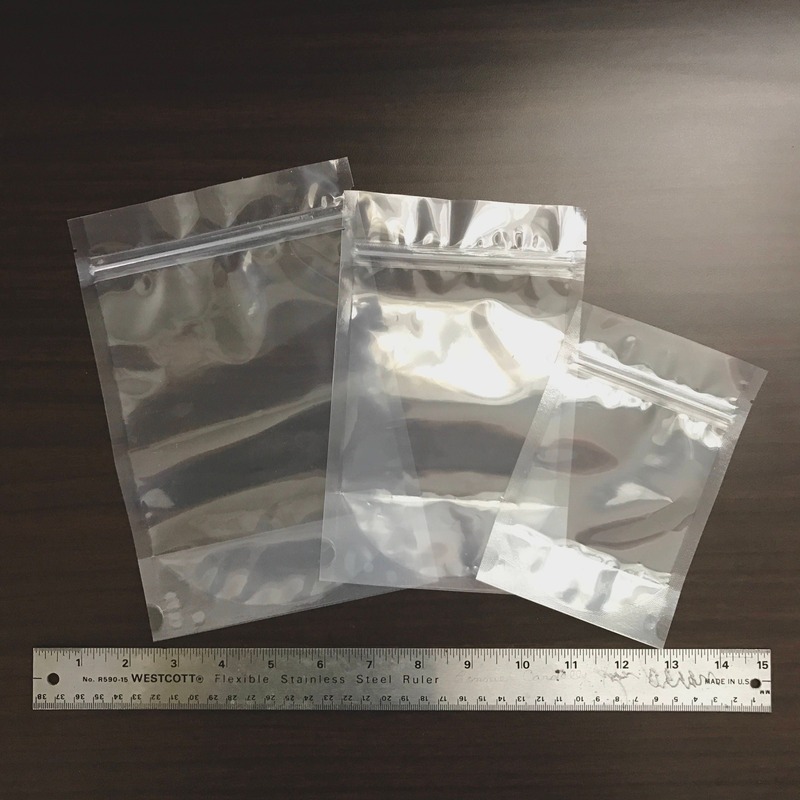 *Outer measurement: 6" x 9" x 3.5"
*Inner measurement 5 3/8"x 7 1/4" x 2 3/4"
We carry these clear stand up bags in 4 sizes, in quantities of 25 or 100: Mini: 3x5", Small: 4"x6", Medium: 5x8" & Large: 6x9". Small, medium and large are pictured in the last photo for size comparison purposes. 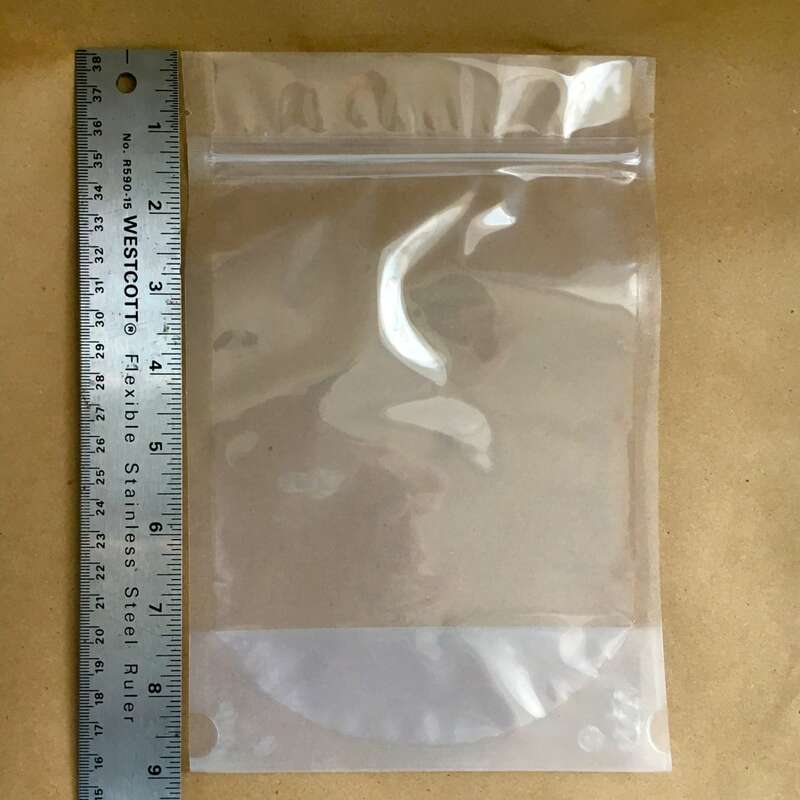 We stock stand up bags in several sizes in many colors including holographic pearl, black, clear, silver, gold, turquoise, red, blue, white, frost, rice paper and silver. Favorite our shop to be the first to see new items as they arrive and hear about our sales. Super happy with these bags. Perfect! Thank you! better than I expected. arrived quickly. This works better than I thought. Good value and mailed promptly. 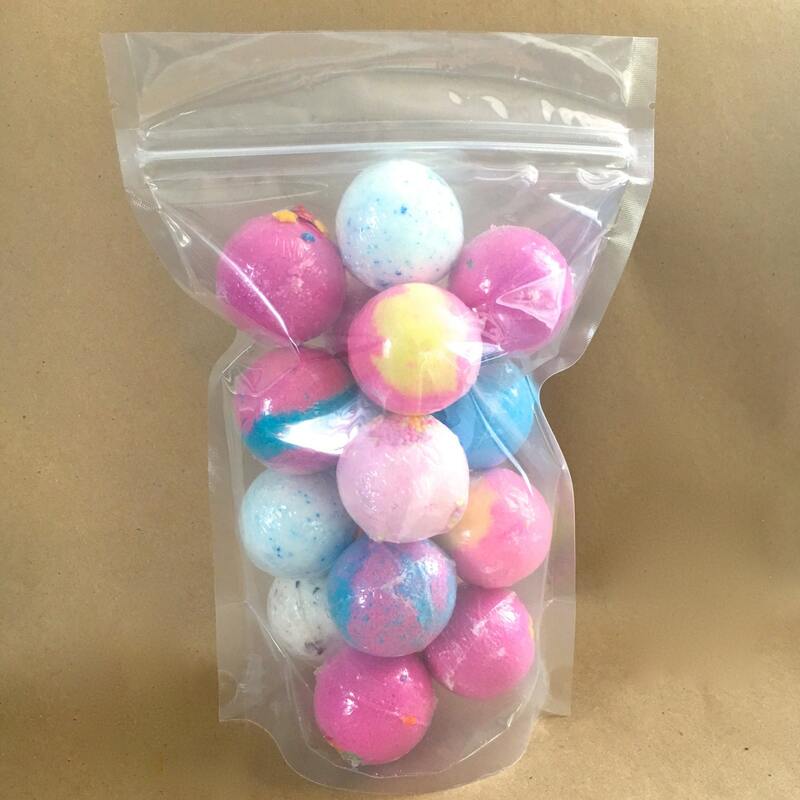 Great customer service and fast shipping, product is great and will definitely reorder in the future.